One of my goals for this summer was to create a recipe book for myself full of easy, tasty recipes that I can take with me when I go abroad. And, as of today, I’ve finally gotten it up and running! I hope to update with a new recipe daily, and will be keeping it updated while I’m abroad with the food I’m eating while I’m there. I hope eventually to collect a ton of recipes from all over the world and incorporate it into this blog. But for now, they’re going to be two separate things. If you’re interested, take a look here! 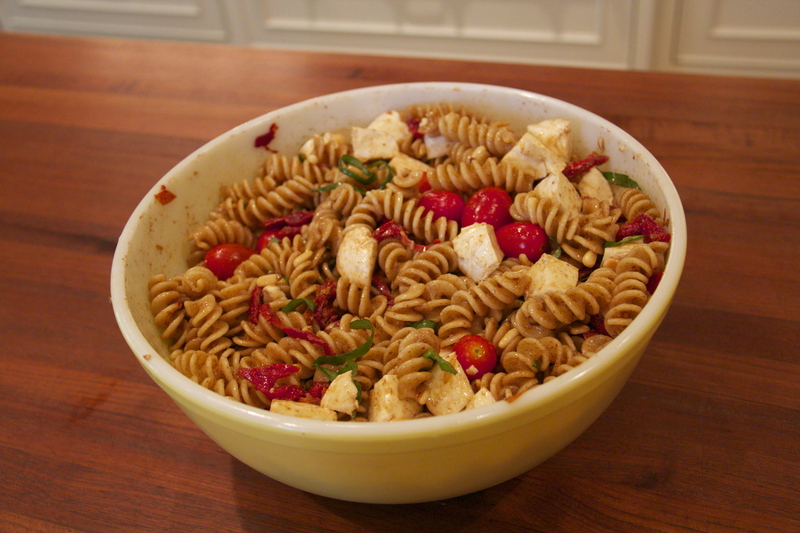 The featured recipe of the day is a super tasty pasta salad. Hope you all enjoyed this hot summer day!